1.Great for party events, nighttime illumination, sporting events, or just a regular hat during the day. 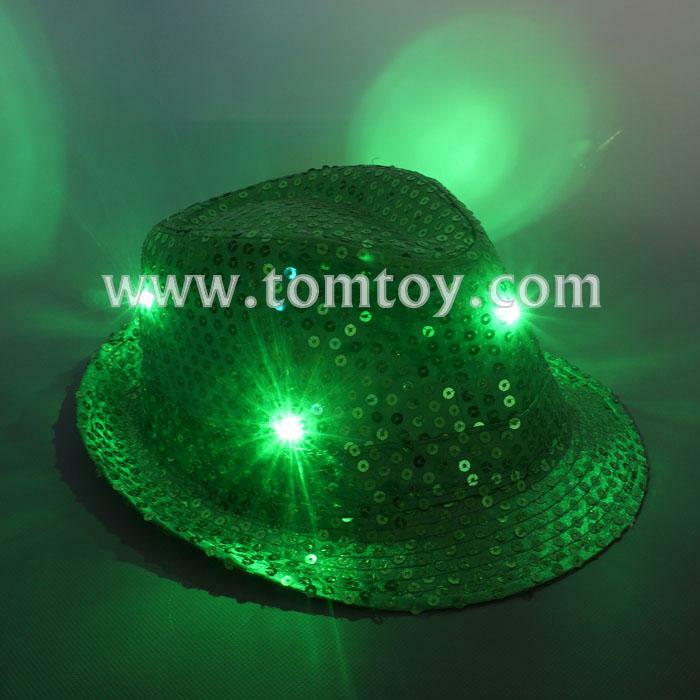 2.Light up Fedora hat with 6pcs bright LEDs. 3.Three flash mode: Random light flash, blink and steady light. 5.Hat circumference:58CM. One size fits most.